From chocolate and seafood to olive oil and venison stew, this holiday takes you on a culinary tour of Croatia. The 4-star Hotel Palace Bellevue is housed in a beautiful Empire-style building and was recently renovated in 2016. The Hotel is set along the main street facing the sea with a stone beach just a short 10 minute walk away. Decorated in pastel tones, all rooms are fitted with a flat-screen cable TV and a private bathroom. The Hotel''s restaurant serves a buffet breakfast in an elegant setting. During dinner time guests can enjoy thematic dinners and music events at a large terrace. The wellness & spa centre within the Hotel Palace Bellevue includes an indoor pool with heated seawater and a quiet relaxation zone. Guests can enjoy the Finnish and Turkish sauna and there are many treatments on offer. Hotel Guests can use the fitness centre with the latest equipment free of charge. Please note: Thanks to your feedback we know you want to explore more at your own pace. That’s why from 2019 we’re including 3 dinners, so you can experience eating out. Depart on your scheduled flight to Zagreb, Croatia's capital city. From here you'll transfer to your hotel in Opatija, the oldest tourist destination in the country, located on Kvarner Bay. You'll get to know Opatija today when you join your Tour Manager for a walking tour. During the days of the Austro-Hungarian Empire, wealthy members of society chose to holiday here, and you'll see many examples of splendid architecture from this era as you explore. You'll also take in a host of beautiful gardens and the seafront promenade which offers lovely views of the Adriatic. After your walk, you'll be ready for an included lunch of fresh seafood, one of Opatija's specialities. Later, if you have a sweet tooth, you'll enjoy finding out all about another speciality of the region, chocolate, with a tasting included. 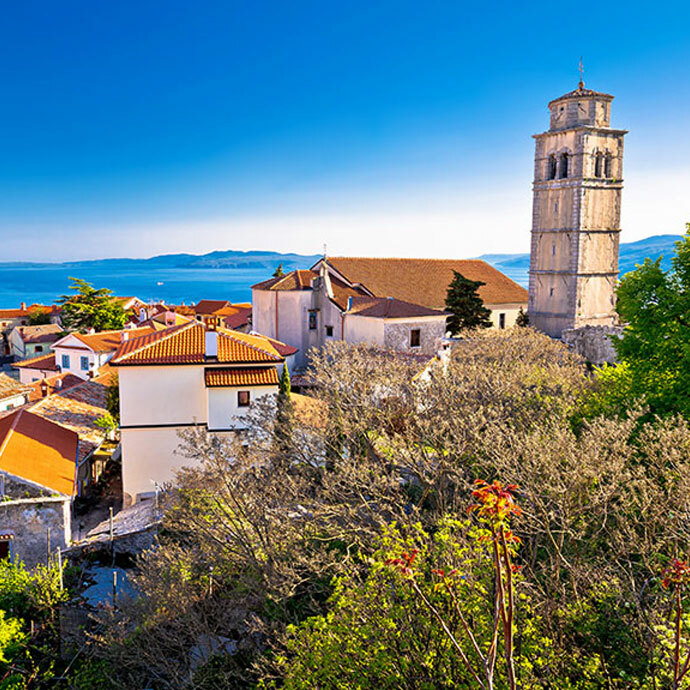 Today's sightseeing takes you to two picturesque towns on the Istrian Coast, where you'll discover an array of ancient sites. Firstly, take a stroll around Pula, to view its 2,000-year-old Roman amphitheatre, which is remarkably well preserved. Also take time to admire the Temple of Augustus and other architectural wonders including the Forum, on which it stands, and the stone-built Gate of Hercules. We'll continue to Rovinj, originally an island, but now connected to the mainland by a narrow channel. You'll notice a distinctly Italian flavour as you admire its Venetian-style Old Town, where colourful houses sit by the very edge of the sea. Step inside the Church of St Euphemia, where the saint's relics are preserved in a Roman sarcophagus, and a host of other treasures are displayed. Head off to make your own discoveries after a lunch of traditional dishes and a tasting of olive oil. The fortified town of Motovun is yours to explore today. As you walk along its 13th and 14th century walls and admire its Gothic-style houses and Renaissance castle, you'll be transported back in time. Stunning views include sweeping vineyards and dense forests, where truffles – Istria's most prized delicacies – are found. Moving on to nearby Momjan, this is where you'll have the chance to savour the flavour of truffles in a lunch of frittata. In this hilltop village, located on the border with Slovenia, you'll also get to try local wines, smoked ham and cheeses, and enjoy lovely coastal views. You're in for a treat today as you discover Gorski Kotar, an area of unique natural beauty and a haven of tranquillity. Your tour of the green heart of Croatia includes many highlights, as your guide takes you on a journey past rivers, mountains, forests and lakes. You'll find traces of prehistoric life as you admire ancient monuments and landscapes, before experiencing traditional cuisine in Fužine. The villagers here are welcoming hosts, who will present you with traditional dishes of venison stew, dumplings and salad. 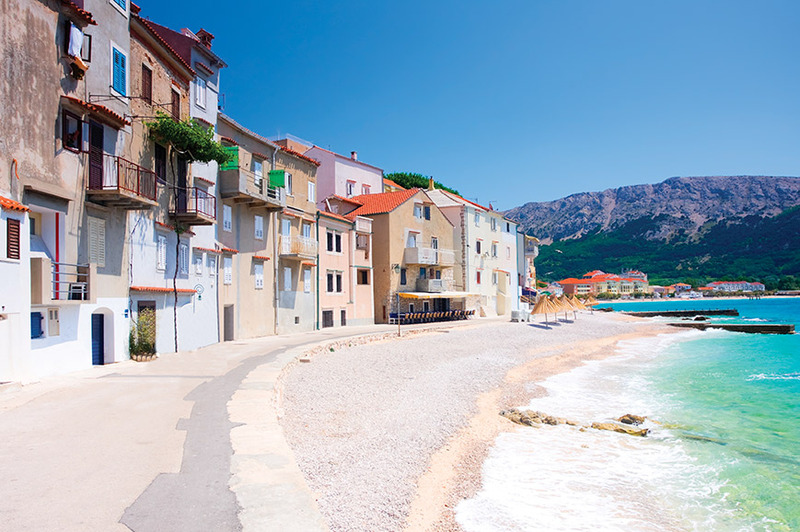 The idyllic island of Cres is a real head-turner and one of Croatia's best-kept secrets. You're let in on the secret as you spend the day on this unspoilt gem of beautiful beaches, hidden coves and ancient hilltop towns. Break up your sightseeing with a delicious included lunch. Your flavour of Istria today is lamb, which will be cooked in a variety of traditional ways, and served with locally produced wines. After returning to your hotel, there's time to rest before dinner. Enjoy breakfast before you transfer to Zagreb for your flight back to the UK.